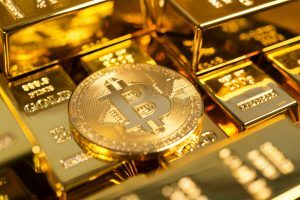 ‘Axis of Gold’ And Persian Cryptocurrency? Escobar: ‘The Axis of Gold’ And A persian Cryptocurrency? The Iranian rial, the Turkish lira, the Argentine peso, and the Brazilian real are all crashing. There are multiple complex, parallel vectors at play. Three of these countries (Brazil, Argentina, Turkey) are G20 members. Two (Iran, Turkey) are under US sanctions. Then there are currencies gaining against the US dollar: the Ukrainian hryvnia, the Georgian lari and the Colombian peso. Analysts largely agree that the overwhelming factor in the current currency crisis is a reversing of the US Federal Reserve quantitative easing (QE) policy. With QE, the Fed declared a currency war against the world, printing US dollars at will. Mounting US debt was devalued, so foreign creditors were paid back with cheaper US dollars. Now, the Fed has reversed course and is invested in quantitative tightening (QT). It, combined with a global trade war against emerging markets, is the weaponization of the US dollar. Russia and China are buying gold. Russia has dumped US Treasuries en masse. The drive to build alternative payment systems to the US dollar-subordinated SWIFT is under way. Germany is coming around to the idea. China is using US trading markets for a wider platform transference. After all, key emerging markets cannot wiggle out of the US dollar system without full yuan convertibility. And then there are nations contemplating the creation of their own cryptocurrencies. Perhaps a Persian cryptocurrency?